So much is being cleared out from within. I bet you noticed that also. 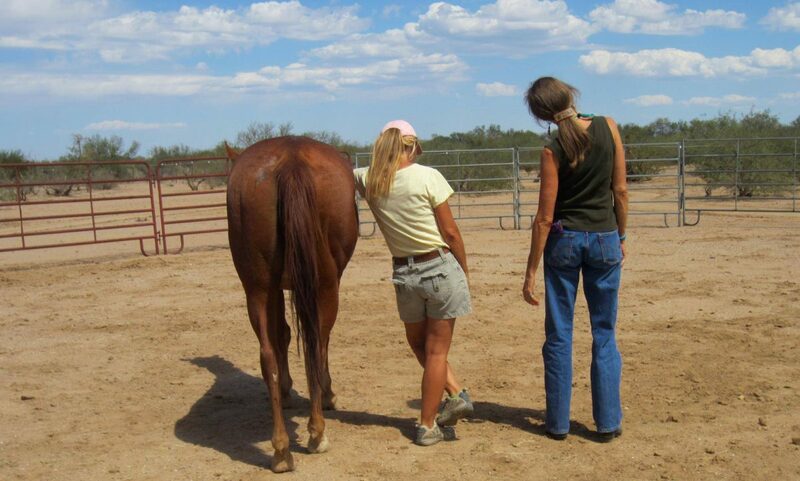 It’s not often that I write about experiences clients have here at WindHorse Ranch. Mostly because they are indescribable and undefinable, goes beyond words and tricky to share with words. Each are profound multidimensional sessions that access the many spiraling levels and layers of the human body and energy bodies. Hope filled that you will discover similarities rather than differences with what took place within this experience with the WindHorse Family. Maybe it will bring a little more peace into your heart just as it did for a client. It may also provide you with new perceptions, to ‘see and feel’ things differently, assisting you in some way to set yourself free. And maybe a release that brings relief from ruts of limitations filled with suppose to’s, judgements of shoulds, held within blame and it’s friend shame. I’ll call the client Sharon, not her real name of course. She contacted me as she was having challenges in a relationship. We chatted for a few moments by phone and then she scheduled a time to venture out for an adventure to experience the Introduction to Partner with Horse. When she arrive we had a brief conversation as the energies were gathering. Meanwhile the WindHorse was standing quietly. Sharon was standing on the other side of the ring, perhaps 20 feet from the horse and I was standing somewhere, observing, creating and holding space in-between and off to the side of both of them. I was fully present to everything taking place along with the pesky ant crawling on my foot! I never know where a session will lead, and this session took many profound twists and turns. Many details are left out because, well, they’re details. The invite into WindHorse Consciousness offered. Within the arriving energies a gentle stillness was felt with the soothing sounds of the swishing tail of the horse. Above, a raven was perched on a pole viewing the scenery below. Cawing with its humerus delight towards us as the 3 of us appeared to have created a triangle within a circle. Beyond, high in the sky, a hawk flying over head offering it’s gift as Sharon’s mind chatter began to quiet, her body relaxing and the shell around her heart and body began to soften, then open. I prompted with a few words and Sharon began speaking of her relationship, the story anyway. And this story would twist, turn, contract all while expanding into curiosity of herSelf. It became a sorta love story that came from a kick in the shin. It happened quickly and it happened slowly. We were in the timelessness spaciousness of the moment where awareness becomes aware within awareness. It truly is only experienced through experience. WindHorse coaxes out master cell. Sharon continued speaking of how much she loved another person. And it was then, all taking place at the same time the WindHorse stepped forward with words coming through me, prompting. “Of course I do.” Sharon replied as her vibration dropped. The horse was moving closer to her, then stopped and stuck it’s right front leg out. At the same timing an aspect, a version of Sharon unrealized kicked her in the shin! I stood observing, listening, hearing beyond the words, moving between worlds while tracking Sharon’s energies back to its truest form, then weaving that lightness back into her. And at the same timing that those words came out, Sharon was rubbing her right shin! There was a brief shock, a mini bolt of disbelief that came across Sharon’s face and body, only for a moment then disappeared. We create many aspects. We do it all the time. We always have, and even those aspects create aspects. Fascinating right? By opening yourself to this concept the more it will expand your ability to raise your vibrations and consciously create potentials of your choosing. Many unrealized aspects hold us stuck where they are stuck with feelings of imprisoned or held hostage. They remain stuck as long as we continue to play the old game of hide and seeking outside of ourselves, rather than going within gaining understanding and knowing our Selves. Opps, got off track, or did I? More is always reveled. Anyway, back to this experience. Now this particular aspect of Sharon’s that showed up and kicked her in the shin didn’t want anything to do with love. This aspect or version of Sharon experienced love as painful, controlling, manipulating, abusive, forced and, well you get my drift. The more Sharon tried to convince herself to love herself the more resistance she felt within herself. The look on Sharon’s face was priceless as it appeared to be a new concept for her. And also, even with this suggestion to consider to perhaps ‘like’ herself came a form of resistance. As I was translating for the horse, the horse had moved closer and was now licking Sharon’s shin, clearing energies to soothe and cleanse. And surprise, yep, the exact place where her invisible aspect had kicked her in the shin! Horse teaching, ignites innate human curiosity. In short, here’s what my horses offered me and offer to others that come to ‘be’ in experience. Perhaps you may find a way to apply to yourself. I was doing some ground play with my filly when she was a youngster and it came for her to go back into her house. (At least that’s what I thought!) She was doing wonderfully walking next to me until we got about 10 feet from her doorway. She balked. ‘What! I got other things to do, time to go in your house,” I remember thinking and saying out loud. I pulled on her lead. She backed up 20 feet. I went with her until she stopped. I pulled again. She backed up another 20 or 30 feet and stopped. All the sudden I realized I was close to 50 feet away from her house! What I was doing was not working! And then I got it! Sometimes it takes awhile for this human to ‘get it!’ An innate awareness broke through me, I shifted my perception that lifted my projections. I let go of the end results. The energies of the present moment filled me with a sense of curiosity. The push, pull of control gone and it was then I asked this young filly to enter her house. And she walked right in, well, more like strutted in! If you pull the lead, the horse will balk. If you lead with curiosity of the moment the horse will follow. This is what happened with Sharon, her human began to get out of the way igniting curiosity that rose from that invisible kick she felt. She shifted her perception, how she was perceiving what took place within her life. Her awareness expanded, she opened her gate and thus began the introductions that lead her to a deeper intimate knowingness of herSelf. Sharon opens to her own Beauty. For many love is too heavy, to loaded. The sense of being kicked was the gift for Sharon. A small shift to liking herself opened the gateway to her own hidden beauty within her heart fields of lightness. With eyes leaking and laughter sounding, she began the gathering, releasing and integrating process which shifted how she treated and communicated within herSelf and then others. The alchemy was taking place as this aspect began to come closer, releasing the fear of love, and wanting nothing to do with it. And it was Sharon who felt the relief through allowing curiosity and embracing her sense of courage to rise up. She self-realized that where and what this aspect was stuck with was not even hers. Not all our aspects are so willing as the one that showed up with a kick during Sharon’s experience. Some take more coaxing because they are woven deeply into our cellular fabric. However, they are all waiting for you. When you say to yourself that you Love yourself – What is taking place inside your energies? What hidden exceptions, limitations and labels do you put upon loving yourself? What about others? Can you let go of the need to push or pull and observe while being in the sense of curiosity? I believe you can. I believe we all can! “Thank you Vicki, your guidance and clarity has totally changed how I feel about myself. Your suggestion to become curious and consider ‘Liking myself’ brought a profound transformation as I felt the undeniable kick to my shin! Phone experiences also available for those who are unable to make in person. Always a delightful joy and honor to connect and hear from you!